This weekend’s trip was yet another PHX-LAX adventure and a nice reprieve from the temps pushing 120 degrees in Arizona. 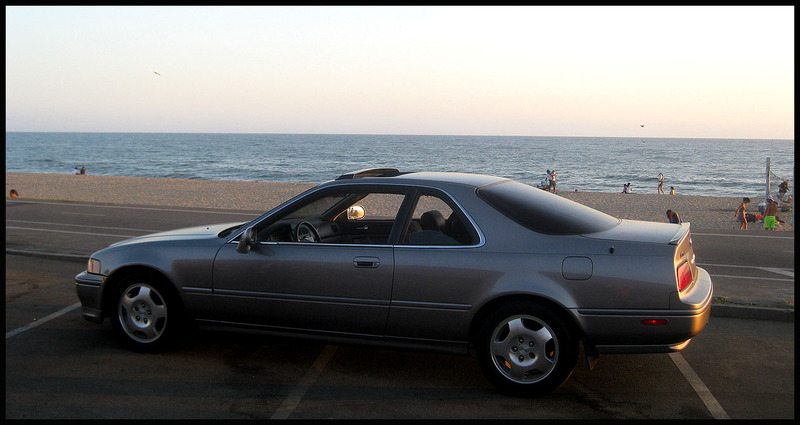 Having the ocean within a short 6-hour drive is just too appealing this time of year! 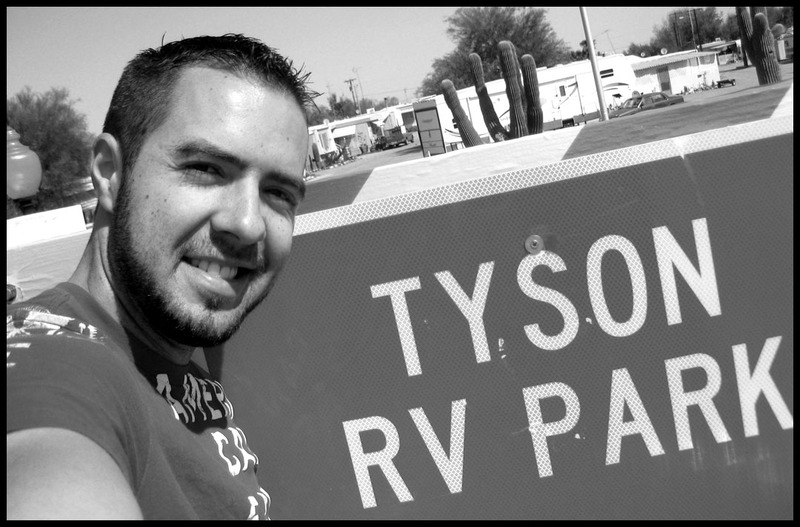 In Quartzsite, Arizona – just inside the western border of the state – I made a pit stop at what may very well be my future home: the Tyson Mobile Home & RV Park. It’s named after a wash that runs through the area. 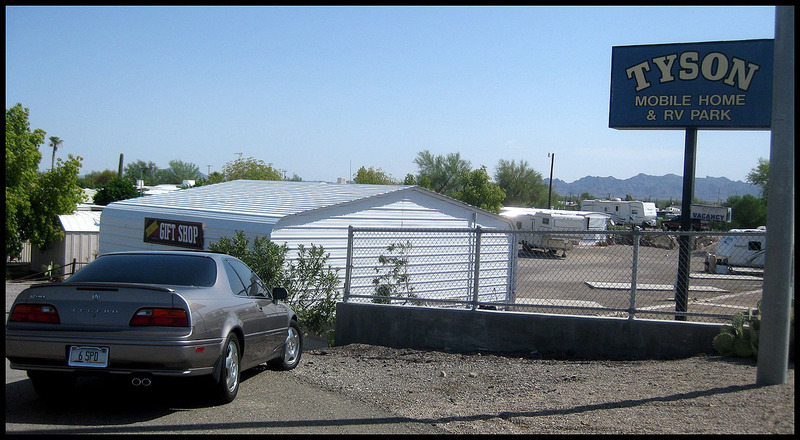 Quartzsite doesn’t have much else to offer except that it’s the gateway from Interstate 10 to Highway 95 north to Lake Havasu. I’ve passed this California welcome sign a hundred times or more but never stopped for a picture until now. Just prior to this is a mandatory checkpoint where all motorists entering the state must stop. It’s called an agriculture inspection, and it’s administered by the California Department of Food & Agriculture. To this day I’ve never been delayed for longer than a couple of seconds before being waved onward by the inspectors. They’ve also never asked if I have any agriculture on board. Seems kind of like a pointless effort? 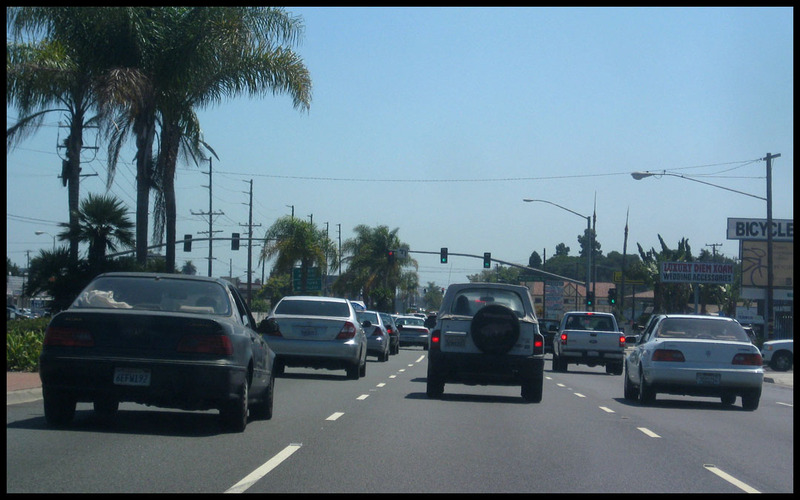 I was welcomed to Beach Boulevard in Huntington Beach by a pair of Acuras on either side of me. I felt right at home! Unfortunately, neither driver acknowledged my thumbs-up when I rolled up next to them. After a stop at the beach to visit with a couple of friends who were there, I met up with my buddy Brett on his lunch break. 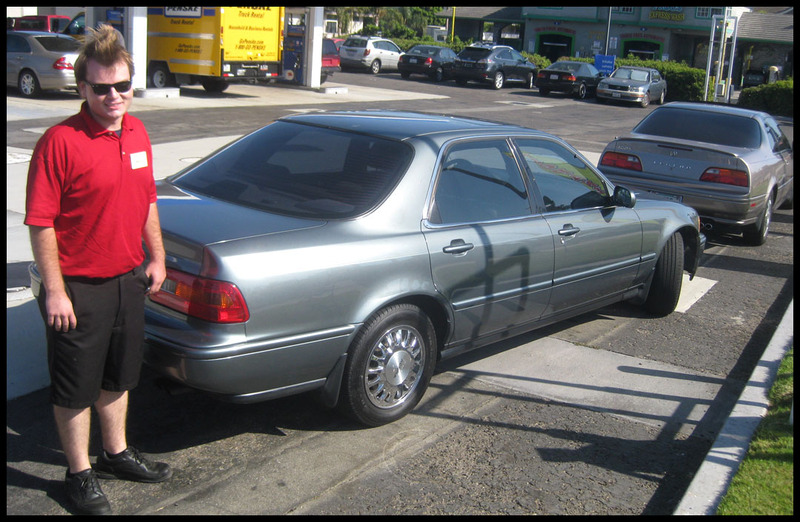 He drives an insanely clean Canterbury Green Legend sedan. 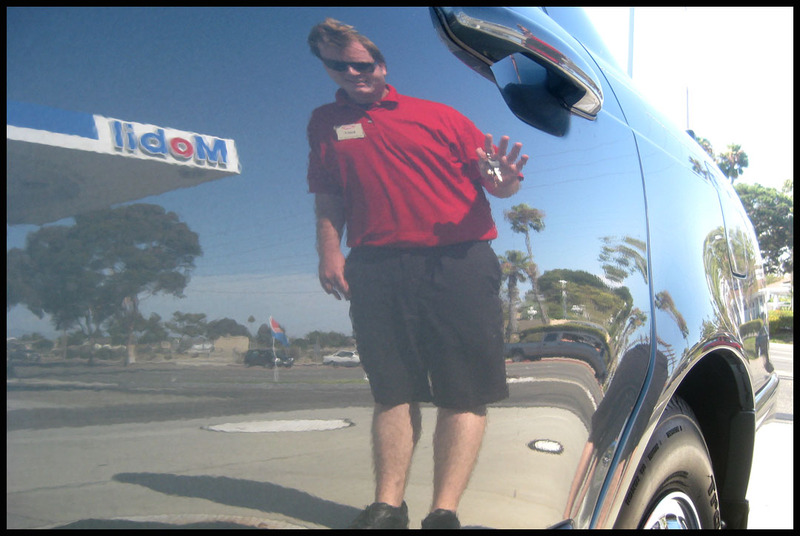 This guy’s shine puts even a new car’s paint to shame. See Exhibit “A”! Hi, Brett! 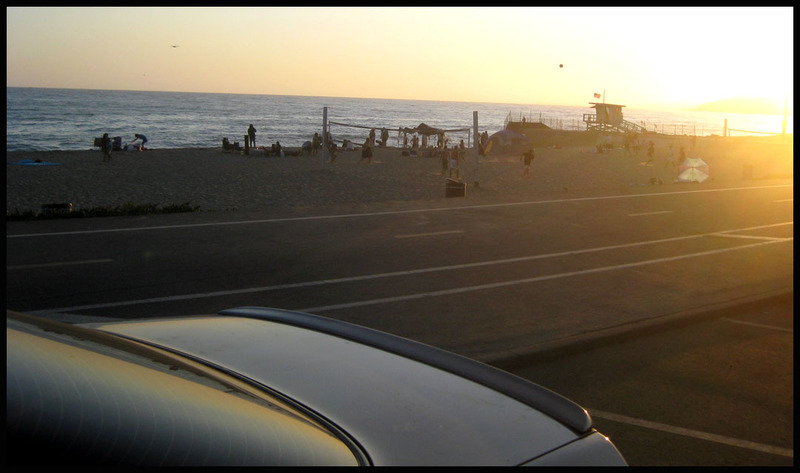 Finally, I battled traffic on the 405 northbound to meet up with my friends Matt and Kennie in Venice. What was supposed to be a 40-minute drive ended up closer to two hours! How the California freeways can be so backed up a Saturday afternoon for no apparent reason is beyond me. I got a thorough leg workout running the clutch in stop-and-go. We took a short jaunt up Pacific Coast Highway to Will Rogers State Beach just north of Santa Monica. The sunset was at its peak when I arrived so I snagged a couple of pictures. This morning’s return trip to Phoenix was uneventful to say the least. 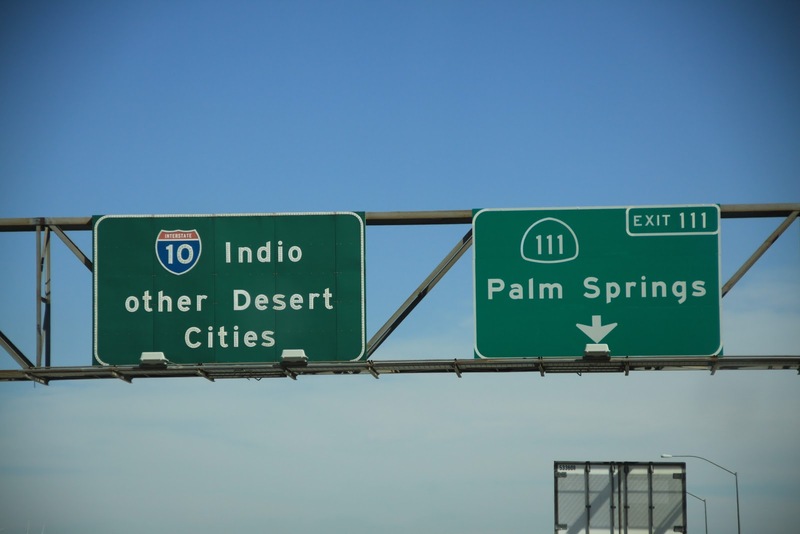 There is so little activity going on in the desert on these barren stretches of Interstate 10 that even the sign approaching Indio just says “Other Desert Cities.” From here on out, it’s a chance to zone out at 75-80 mph for 4 hours until approaching the Phoenix area. Thank goodness for ice cold A/C because it was smokin’ hot out there today. Things are looking good for the next 8,226 miles! 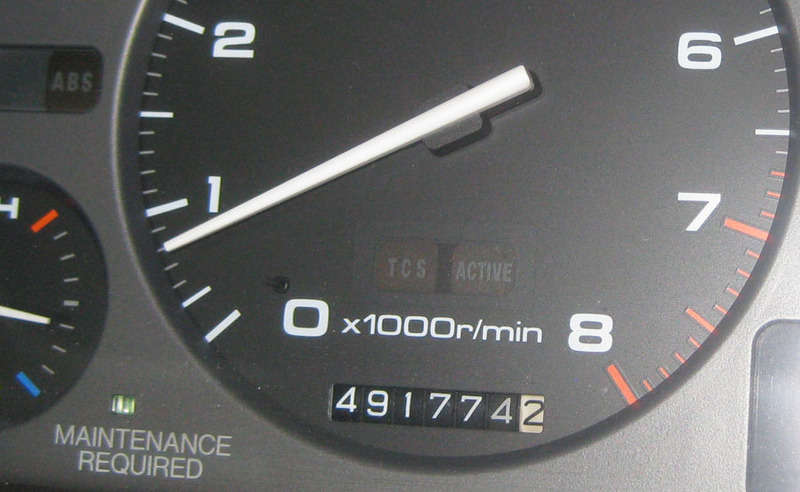 Next scheduled maintenance will be an oil change at around 493,300. Keep on truckin’. 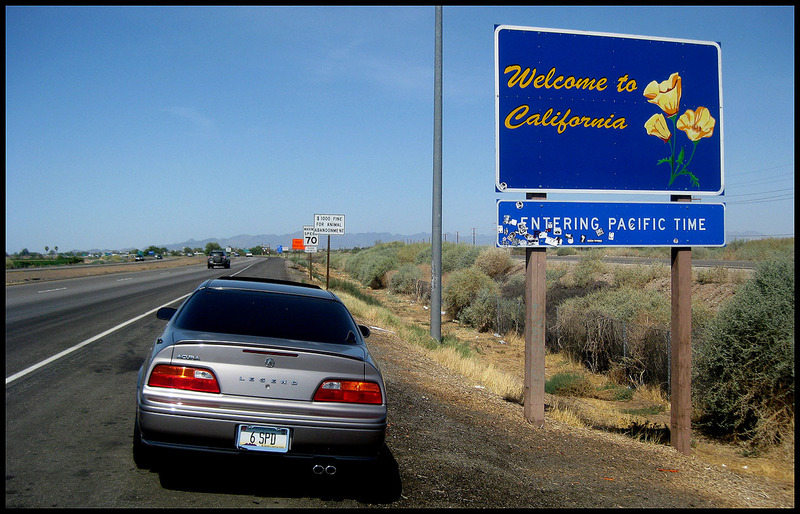 This entry was posted on August 28, 2011 at 10:13 pm and is filed under California, Legend, Road Trip. You can follow any responses to this entry through the RSS 2.0 feed. You can leave a response, or trackback from your own site. Keep on car’n too! Glad you arrived back home safely. Thanks ma! A Utah trip is in order as soon as you get settled in your new abode. That poor coupe just doesn’t get too many weekends off does it?! I too spent the weekend at the beach, but its a good 1200 miles from where you were. Thanks Dave – you got it. If I had a bit longer weekend I’d take a jaunt up to the PNW for a visit. Hope you had a great weekend and you’re getting lots of use out of that fun Bronco. It was really great seeing you again! Thanks for the compliments on the Legend, you must drive it when we have more than 10 minutes to visit! And as usual, your coupe continues to be stunningly gorgeous; definitely rivals my car’s shine! One of these days I will come to see that GS! Thanks for meeting up, Brett. Glad we were able to connect for a few minutes. Huntington is a beautiful place — I am sure I will head back there soon. You should have driven to Denver! There’s always next time! If the weekend had been just a day longer I would have considered it. The drive from ABQ to DEN is pretty.